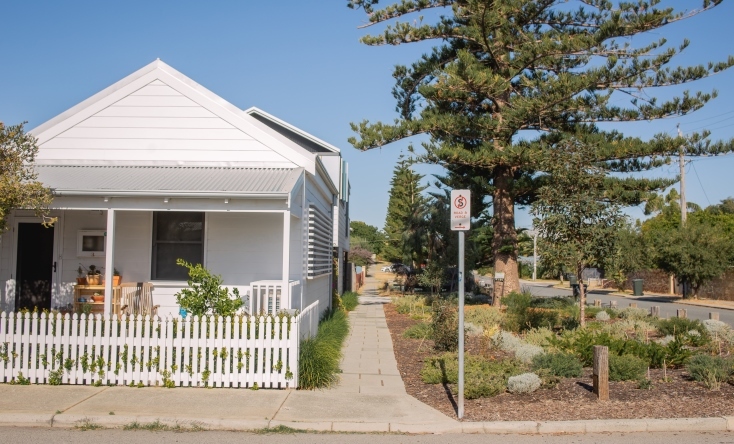 Fremantle residents have another opportunity to help turn their neighbourhood into a lush, green oasis by applying for the City of Fremantle’s Verge Preparation Assistance Scheme. The City offers a range of incentives to encourage residents to establish a verge garden, including subsidies on native plants, free mulch, free street trees and free advice on landscaping and planting a verge garden. The Verge Preparation Assistance Scheme assists eligible residents to prepare their verge by removing soil, grass and vegetation and delivering free mulch, which is recycled from the City’s tree pruning program. Applications for the scheme through the online form are open until 1 March, with priority given to Seniors Card or Health Care Card holders. Fremantle Mayor Brad Pettitt said there were many reasons why people should consider planting a verge garden. “Verge gardens not only look great, but they also use less water, help reduce the urban heat island effect and provide a home for native wildlife,” Mayor Pettitt said. “They’re also great way to show pride in our community and make us all feel good about where we live. For more information on verge gardens visit the Trees and Verges page on the City of Fremantle website.